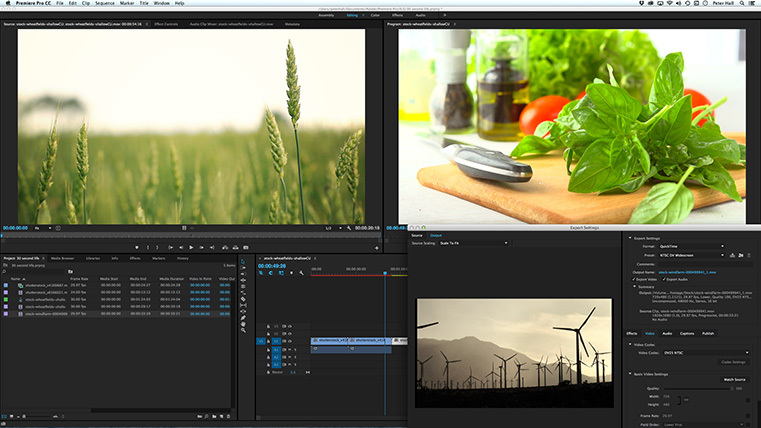 Premiere Pro is Adobe’s professional video editing software for filmmakers, tv broadcasters, journalists, and videographers. The interface is simply extraordinary; it makes the telling of compelling stories much easier. This course is taught by industry professionals who pass along real-world workflow tips. It includes lots of practice so you’ll be completely comfortable using Premiere when you return to your office or studio. In this workshop, you will learn everything you need to know about cutting with Premiere Pro, interacting dynamically with other Adobe applications, and outputting to multiple formats. We’ll practice core editing skills, workflows, and technologies professional editors use every day to produce media for broadcast television, DVD, and the web.